Nan-Made Recipe | Plan. Shop. Eat. Live. New Twist on a New Favorite! We know about the great heart health benefits of garlic AND the benefits of the spice turmeric SO… I combined them. 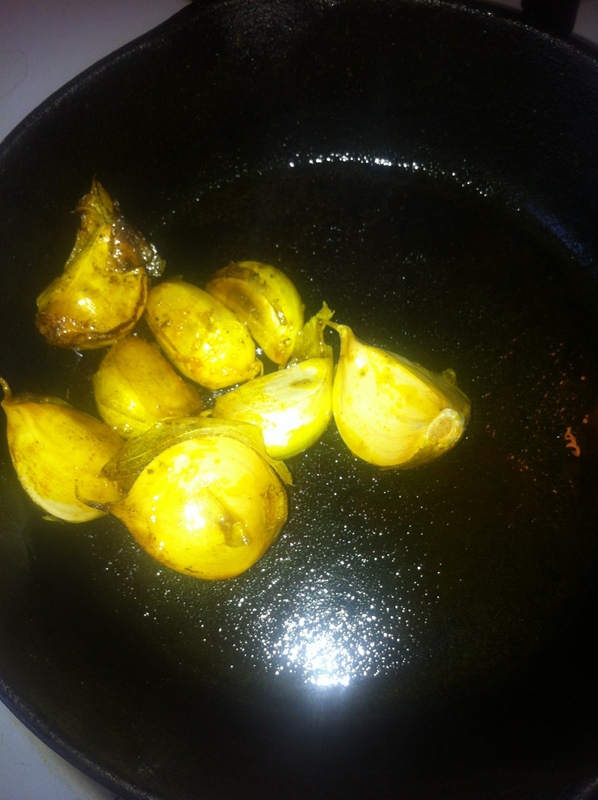 Low heat, organic garlic cloves, extra virgin olive oil, turmeric -sautéed in a cast iron pan. Great snack and appetite suppressor! Stinky breath is still better than an Egg McMuffin for breakfast! You’re getting so creative with your recipes. I’ll have to try this one. I’m sure the kitchen smells wonderful. Love the picture of the braided garlic, can the necklace be far behind?